Hello everyone, and welcome to this week’s prayers for the week post. 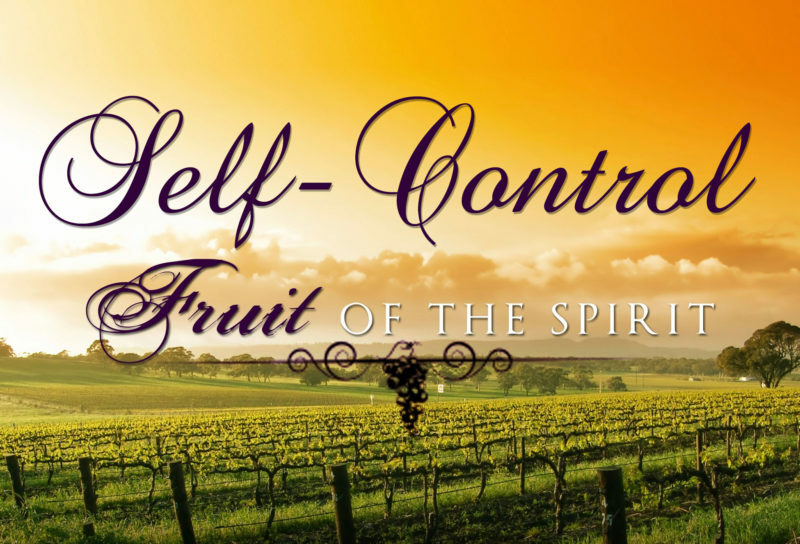 We have concluded our series on the Fruits of the Spirit, I hope you enjoyed digging into them a little more closely, and today, I felt led to talk with you about a reminder that God has put on me this week. 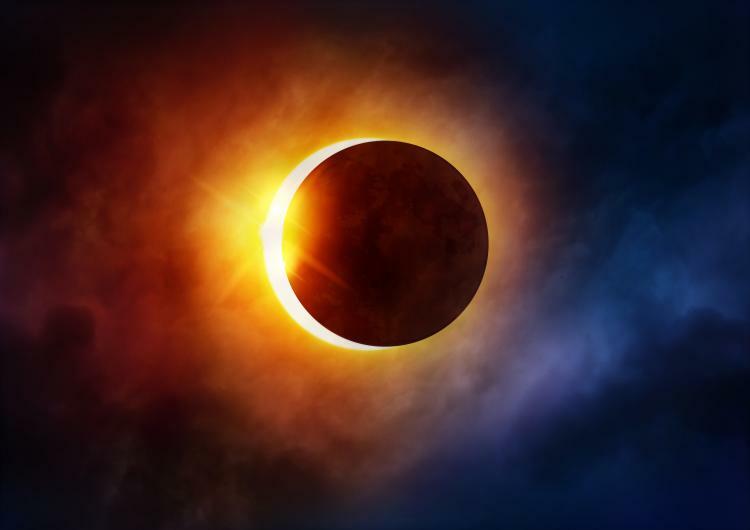 The image is, of course, of the eclipse we experienced last week. I’m sharing this image because of the reminder that God is in charge of all of this, and that He made the sun, the moon, and all the stars, and that He caused it to line up like it did for His Glory. For Cindy and I, the first verse has so much meaning. Our daughter, Sophie, is on the Autism Spectrum, although if you were to talk with her I suggest you may not have ever known it. She has Aspergers Syndrome, and has learned over the years how to overcome that social awkwardness to the point that she is an incredible young woman. When Cindy and I first learned of her Aspergers, I’ve got to tell you, it felt like a punch in the gut. But as we learned more, and as we cried a bit, and came to grips with it, God reminded us of these verses, especially verse 14, and over time, we saw the positives of what that means. The world often looks down on kids like Sophie, thinking that they are to be exploited, taken advantage of, or something along those lines. Heck, in Iceland they see abortion as a means to end Downs Syndrome in their children, rather than seeing the pure joy and unconditional love a child with Downs Syndrome has for everyone they encounter. So, as parents, at first we saw Sophie’s diagnosis as a negative because that is what the world expected us to see. Over time, though, we have realized just how wrong we were. Cindy and I believe that one of Sophie’s best, most enduring qualities is her empathy towards other people. Sophie is in tune with how others are feeling, often far more quickly than anyone around her, and has a knack for knowing exactly what to say to make that person feel immediately better. Both Cindy and I believe that her empathy is a direct result of her Aspergers. That is just one example how fearfully and wonderfully made Sophie is. My prayer for all of you is that regardless of what you are going through, regardless of how small you feel yourself to be, that you would read those verses and remember that God made you exactly the way you were meant to be made: fearfully and wonderfully made. Now, please continue reading and join in our prayer requests and praises. We have some very heavy prayer requests, my friends, and they need all the prayers they can receive. Thank you for praying for them. Please pray for two close friends of mine who are facing medical issues. God knows all the details, thanks everyone! Please continue praying for Shannan’s friend Darleen: Darleen had to go back to the ER this week. She’s now on antibiotics for a wound infection. She just can’t seem to get a leg up on healing. Please continue your prayers for her. I also found out she’s had no insurance through this entire ordeal. That’s one reason she was unable to go to a rehab facility following the the surgeries. Jodi reminds us to keep praying for those in the path of Hurricane Harvey: Also, keep everyone in the path of Hurricane Harvey in prayer! Please pray for the families of those affected by the hurricane, and for the family of the ones that have lost their lives because of the storm. We continue our prayers for Daniel. Here’s the latest update from his wife Amanda: UPDATED: We went to the oncologist today. Daniel’s bilirubin went from 24 to 26 which is basically no change. His other labs are good or slightly high but nothing to be alarmed about. He gained 10 pounds – probably from the hydration – and his potassium is out of the critical range. We didn’t move forward but we didn’t move back and we cleared the potassium hurdle for now. So we succeeded in keeping his liver functioning to give the Herceptin another week to work. We go for a second dose on 9/8 and will hopefully start to see some slight improvement. Thank you for your prayers and please keep them coming! They are working – I know they are! Please pray for my Aunt Rita. This is from my dad: Talked to my kid sister Rita today. Her spirit is good, she has a fractured lumbar vertebra and kidney stones to deal with. “I won’t give up!” she assured me. She’s with loving daughter and other family members. My friend Kerry has a prayer request for her dog: I usually don’t post or ask for prayers on FB but at this time we need all of the prayers possible. Yesterday my beloved Buddy was diagnosed with a “mass cell” which the vet upon initial biopsy feels is a cancer. It does not look promising. He is scheduled for surgery next week to remove the mass and to further biopsy the mass. Hopefully things will go well and he will be back to making us laugh and snuggling with us. Buddy has been part of our family for over ten years and the joy and happiness he has given us is beyond what can be put into words. I am sure all of you who know me understand how heartbreaking this news was to receive. We are very optimistic and are hoping and praying for the best possible outcome. For those of you who know our little guy personally… Say a little prayer for him. I can’t imagine life without him. Please pray for Sarah F. No details, God knows all we need to know. Thanks everyone! Jodi has a prayer request for her husband Richard: Please pray for my husband, Richard, this morning. One of his crowns fell out the other day, and it looks like the peg it attaches to broke. Has 9:00 dentist appt. Please pray it’s an inexpensive and easy fix (or is totally covered by insurance), as our finances are very limited right now. He also has severe anxiety disorder, and this has jacked up his anxiety level as well, because he’s worried it’s going to be a major procedure like it was when he first got it. Thanks! UPDATE: It is going to require a whole procedure to remove & replace post & put in new crown. He is very disheartened about it, and even though insurance helps, it’s still a big hit to the wallet. Triple to quadruple cost estimate we were given yesterday, and that’s what Richard’s dental procedure is going to cost (after insurance). OUCH. Have to remove existing post and reinforce bone it’s attached to. Getting him started right now & will take 2-3 hours. Will have temp crown for about 3 months. Please continue prayers! Thank you! Please pray for my friend Amy, who is about to undertake a move soon. Please pray that everything goes perfectly for her and her family! Lastly, we remember to pray for those that are lost, those that don’t know what to pray, those that don’t know how to pray, and those that in authority. However, if you are to look really carefully, and see what goes on beyond the news headlines, I can show you countless acts of gentleness that may just give you hope. 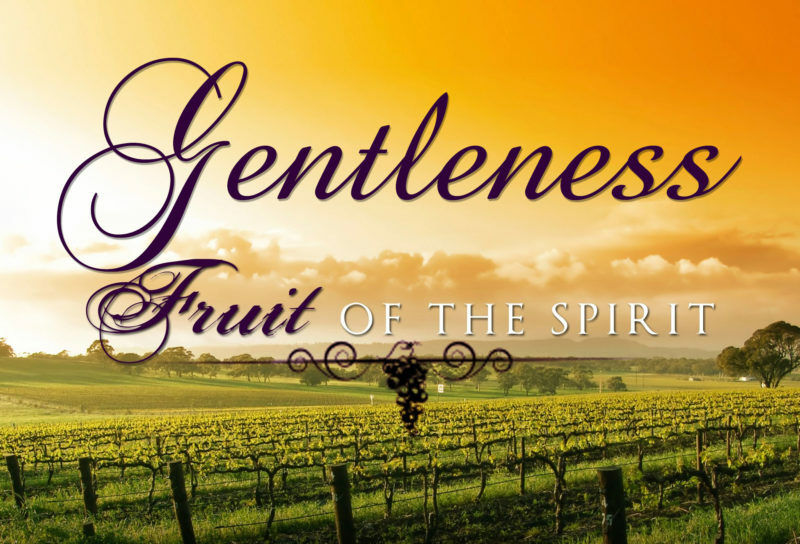 Gentleness is a fruit of the Spirit as Paul tells us in the Galatians passage, and it is when you see true gentleness on display that you see a person that has their name written in the Lamb’s Book of Life. Now, please pray with me and give praise for this week’s prayer requests and praises. Our prayers start off with prayers for all of the people affected in the violence in Charlottesville yesterday. Such hatred, such terror, such violence. Words escape me on what to write. We also lift up prayers for the family of Bryan Murray, former coach for the Washington Capitals, who passed away yesterday from colon cancer at the age of 74. Please lift up all of his family in their grief. Barb has a prayer request: Please pray for our 6 month old puppy. She is currently undergoing surgery for Intussusception, which is an intestinal thing. Pray for a quick recovery and no lasting side effects! The good news is that the procedure was a success. Here’s what the problem was: Renny’s surgery is done! She did great! It was a piece of string wrapped around the base of her tongue, down to her intestines! They’ve never seen that in a dog, only cats! Her tongue will likely be sore, so we need to feed her canned food for a week or so, but she’ll be fine! Last week we were praying for Ilene’s dog Cooper. We have a praise report! Cooper is home with his mom tonight! Thank you, Lord! He means the world to his Mom. He still is limping but hopefully that will heel when the strain/swelling on his spinal cord comes down – he is one very lucky dog in so many ways! I am thankful that he will be sleeping in his Mom’s arms tonight. Thank you again for all your prayers! Leslie has a prayer request: A good friend of mine is going through some major losses. One traumatic death in her family/close circle of friends a week, for the past 5 weeks. She asks that we especially lift up her husband, Chris, Diane, Todd and Austin, Tammy and Sissy, Casey and Meghan. We have an update on Shannah, it’s not good news so far: Update: Shannah (liver/kidney failure) is now critical, and they’ve told her husband to notify family. Please keep her and her family, esp. 3YO son, in prayer! Please pray with me for Shannah: Lord, we confess that we are unable to comprehend why you call some of us sooner than others. Please be with Shannah and her family, Lord, give them Your Peace, Comfort, Strength, and Love. Lord, if Shannah hasn’t chosen You, we pray that she would choose the path to Eternal Life, and that her life, as short or as long as it is, would be a testimony to You. Lord, please be with them, especially her young son, that he would know You in time, Lord, and that he would be reunited with his mom one day in Heaven with all of you. Lord, we pray for one last miracle, that You would grant Shannah and her family the miraculous healing that only You can provide, Lord, and we pray for all of these things in the wonderful name of your Son, Jesus. Amen. And then, another update on Shannah. Please keep praying for her and her family: Update on Shannah: Another complication. Her body is spilling sugar into her bloodstream causing very high blood sugar readings. They are giving her insulin but they don’t know where it’s coming from. Stephanie has a prayer request for her Daddy: Please be in prayer for my daddy! He apparently had a heart attack sometime yesterday, but was too stubborn to go to the hospital. He’s feeling better now, but they’re doing tests to see what, or if any, damage was done. Stephanie’s Daddy needed some stents inserted, and then we have this praise report: I just wanted to thank everyone for the prayers for my daddy. He was released from the hospital today. God is good!!! Pray for Pam’s husband Ronnie. Today he receives a PICC line as part of his treatment. Pray for a successful procedure! Pray for Amanda’s husband Daniel. He had a procedure done that will hopefully help. Lastly, I’ve got a big praise report — praises for my Wife of 17 years, Cindy, on our anniversary this past Friday. I love you honey! The concept of faithfulness to many people is a hard thing to have. Basically, to exhibit the traits of faithfulness is to have your complete and total belief in knowing that God is looking out for you, and that He will take care of those problems that come up in our lives. It’s so very easy in this fallen world we live in to be jaded by the events that surround us, whether they be political, economical, or whatever, that to exude that feeling of faithfulness can be kind of hard. 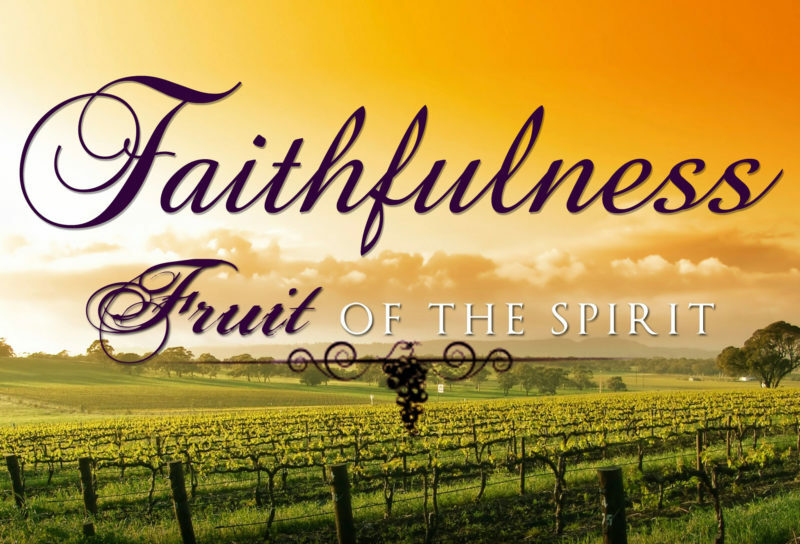 For me, being more faithful to God has become easier the older I’ve gotten. This time in my life is by no means an easy road to hoe, we’re still battling with me losing my job nearly two years ago, trying to make my businesses work and thrive, and so forth — and the stress is not easily laid aside. But throughout it all, in fact, because of it all, I think my relationship with God has grown in leaps and bounds beyond what I could ever imagine, and each day I see myself praying to God more and more each day, not just about big things, but about small, often what I would call “mundane” things. Such as, Lord, help me get the weight loss I want this week, and so forth. My latest challenge spiritually is that I have started the OWNit365 Whole Bible Plan on August 1st. The challenge is to read through the entire Bible in one year, and this is something I’ve attempted before, but have never succeeded at. So this is a big deal for me. Please pray for me to continue to develop and maintain the discipline needed to read each day, and to complete this challenge. Now, please join us as we pray over our prayer requests and praises. Shannan starts us off with a praise and continued prayers for her friend Darleen: Hey guys, I heard from Darleen today!!! She’s doing so much better. The plan, as of now is for her to go home sometime this coming week. She’s in good spirits but is still in some pain and can’t stand for long periods of time. Also, due to the length of time that she has been off, she also lost her job. I am in the process of researching restaurants nearby her address that deliver because she can’t drive right now either. I’m going to send a few gift cards to help with expenses when she gets home. Amanda asks for continued prayers for her husband Daniel. Here’s the latest update from his tests: We had our appointment yesterday to see about a clinical trial. It was good and bad news. Over the past week, Daniel has become jaundice and had all the signs of liver issues. They are doing a scan on Monday at 3 to see if it is something simple like a blocked bile duct or if the cancer is causing it. Please pray that this is something simple that we can take care of quickly and get back on the path to getting him in remission. Also, please pray he doesn’t spike a fever – that is really bad. The good news is he isn’t a candidate for an immunotherapy clinical trial but instead off label use of a drug already very successful at treating breast cancer. We just need to get there! Jodi has a heartbreaking prayer request for a friend’s nephew: My friend’s 17-yr-old nephew unexpectedly passed away in his sleep. Don’t know cause. Please pray for the Dokken family! We have an update from Robin on this prayer request from earlier: Little man is back in the hospital his heart rate keeps going too low so he will be at the hospital for a while. This is from my high school classmate Carla regarding her grandson Dyrell. He has many medical needs and this baby needs prayer. His mama is Hilary and needs prayer as well as daddy. Please keep praying: DJ is still in pediatric ICU. Carla appreciates our prayers. The good news, we’ve been praying for her in our Facebook prayer group and she is much better! From Robin: Macie is recovering beautifully. She can start volleyball practice Wednesday! Shannan also has a prayer request for Joshua: Please pray for my son’s girlfriend’s little brother, Joshua. He’s 12 and weighs 60lbs. They have done a ton of blood work and finally found he was anemic. He was admitted to the hospital after going to the ER this weekend and they have diagnosed him with Crohn’s disease. They did an endoscopy today but don’t have the results of the severity yet. We have a friend (same age as my son) that’s had the majority of her intestines removed already and is on humera injections for probably the rest of her life, but right now in remission. It’s a long and scary road for this little guy and his family. Tabitha has a prayer request for a friend: To my prayer warriors……I have a friend whose father can use some prayers right now. Please pray for him. God knows what he needs. Jodi also has a prayer request for Shannah: Please pray for a friend’s best friend named Shannah. She was hospitalized on the 21st with sepsis, liver failure, and kidney failure, in critical condition. Idk if she had prior problems or if this was a sudden onset. She’s still in the hospital, and they finally were able to start dialysis today. She’s only in her early 30s & has a 3-yr-old son. Stephanie has a prayer request for baby Wesley and his family: My stomach just dropped… two people I knew fairly well from college just posted this: “On Wednesday Riley Judy and Wesley Ellis were delivered. They were 14 weeks early. Last night our Riley girl passed and is no longer in any pain. Wesley is still fighting he has a long way to go. Please pray for Wesley.” I can only imagine what the new mommy and daddy are feeling so pray hard guys for them. God has a plan and I’m sure for them that plan seems so unclear…. Lori has a prayer request for her friend Barb: God surely puts more on some people’s plates than others. Please add my friend Barb & her family, from MN to your prayers this week. Barb & her husband (who has cystic fibrosis himself) many years ago adopted and have cared for 3 special-needs boys – their oldest (wheel chair bound) is now just one badge away from Eagle Scout!Oh, yes. When Barb had difficulty finding a Scout Troop willing to take up the challenge of accommodating her boys, by gosh, she stepped up and started a new Troop! None who want to be a Scout are left out of her Troop!Barb is a full-time nurse supporting their family and is now tasked with caring for her quite elderly father with esophageal cancer as well.Please hold their family in your prayers – God has given my friend amazing Strength over the years! Please pray for the sign up dinner for the Men’s Study in Raleigh, NC that is happening this Tuesday, August 8th. If there are any men in the Raleigh/Durham area that want to come for a free BBQ dinner, and to hear my mentor Russ Andrews talk about the bible study, please come to Edenton Street UMC, 228 W. Edenton Street, Raleigh, NC, at 5:45PM on Tuesday the 8th. If you sign up for this study and put your whole heart into it, it literally will change your life. Please pray for those that have no faith, for those that don’t know Jesus, for the lost, for those that are out to hurt others, for all that don’t know Jesus but desperately need to meet Him and know Him. Please pray for the world, for the leaders on all sides of government, and pray for those that are in need and not getting the help they need. The prayers listed on this page each week do work — the answered prayers we have been a witness to over the years speak to how God hears us, hears our prayers, and answers our petitions. The strangers that pray for all of these prayer requests each and every week — most of whom I have never met before — speak to how faithful they are in their belief, their expectation, and their confidence that God will and does hear our prayers. There is a peace that comes from prayer, my friends. Do you know that Peace, that Peace that surpasses all understanding, yet brings a calmness to you like nothing else can? That Peace, my friends, is among the greatest of gifts that I will ever receive, and that Peace can only come from God.